Good morning, Min. I appreciate you joining us and sharing your knowledge. Thanks so much for having me here today, Alicia. Hi, my name is Min Edwards. Actually, it’s Pam Headrick, but I write under a nom de plume for several reasons. The most important one though is that I want to separate my author persona from my business persona. As Pam Headrick I’m a book designer, A Thirsty Mind Book Design, and have been for almost seven years. And as an author I want to be known as Min Edwards, an homage to my mother, Minnie Larna Edwards Headrick, a life-long reader who read even when she could no longer remember what she read. Today I want to talk for a bit about research for fiction writing. I’m an expert at academic research as I wrote papers, articles, theses for years as a professional archaeologist. But that kind of research is exacting and very structured. For the last few years that I’ve been writing novels, I haven’t felt the need to research anything except perhaps a specific kind of helicopter, what those plastic police cuffs are called, the most popular gun used in the drug trade. Things like that. But a few months ago I decided to write a women’s historical fiction. What was I thinking? 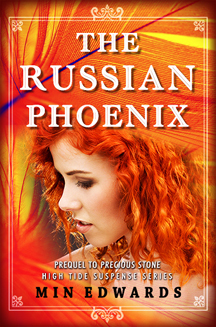 The Russian Phoenix (coming soon) was born while I was writing my latest novel, Precious Stone, the last book in my High Tide Suspense series. The heroine was the great-granddaughter of a Russian woman who arrived in Maine in 1930. She died before my character’s birth and Colleen, the great-granddaughter never knew her. 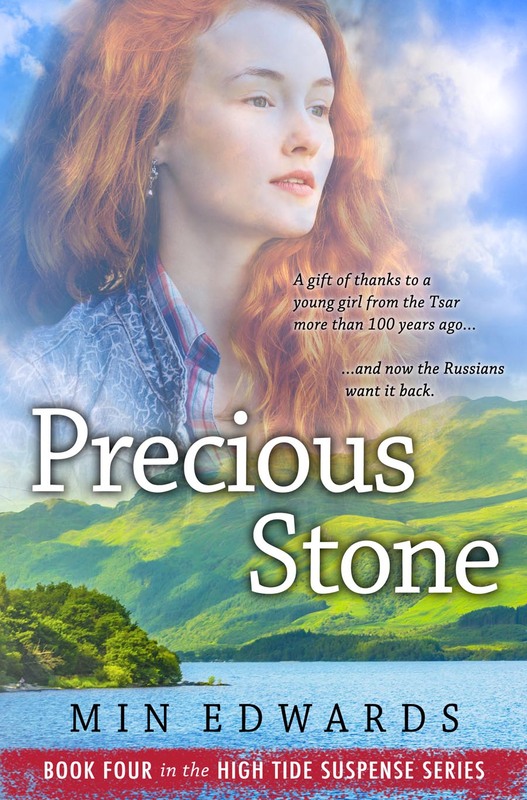 But when men threatened her about a so-called treasure that her ancestor Natasha ‘stole’ from Russia in 1913, she began wondering about great-gran. And now I’m mired in research as I write Natasha’s story. What was St. Petersburg, Russia like in 1913, the Romanov Jubilee year? What did the living quarters look like for families like Natasha’s, a distant cousin of the Tsarina, in the Alexander Palace? Were there trains conveniently located between cities and smaller towns? If you were leaving Russia, how did you get to the western border? And who’s border was it at the time, the year before the Great War began? Trains… were they the same in all countries in Europe (and I found that no… they weren’t.) You’ve of course heard of narrow-gauge tracks. We have those in various places in the US mostly for sight-seeing trains like the one out of Durango, Colorado. But in Europe the width of the rails was even more diverse. There’s standard gauge in most of Europe (4’ 8.5”). Then there’s the Iberian Gauge in Spain and the Russian Gauge in parts of the old Soviet Union… and the Irish Gauge. It’s suggested that the reason for the differences in gauge was for protection… keeping unwanted armies from invading your country by rail. I don’t know why the Irish thought they needed a different rail size to protect them from invaders though. Who in their right mind would ferry a train across the Irish Sea. Trivia… don’t you love it? My story has moved from Russia and Germany and now I’m researching Scotland in the 1920s. What was life like on an estate? What kinds of crops were grown? What did the interiors look like? Plumbing… was there any in those old manses? Next, I’m having Natasha travel to America in 1930. What was her passenger ship like? How long did it take her to get from her home on Loch Lomond to the nearest port and then ‘across the pond’? So many questions, so little time before publication date. The internet is my only source since I live in a tiny coastal town and no longer have the huge libraries of The University of Texas system in Austin where I lived before moving to Maine. Gosh I miss the Perry-Castañeda stacks at UT… and the Geology and Classics libraries as well. Besides that, can you really believe information on the internet? Wikipedia often isn’t accurate, but you can get some nice color from it… like cruise ships on the Rhine in 1913, the Rhine Gorge and Lorelei Rock. But try finding an accurate… and accurately annotated map of Edinburgh for 1913. I found Princes Street thankfully so I just had my characters living and working there. I might change that before publication, but for right now I know where they are. I won’t lose them and they won’t lose themselves. The next phase of research concerns Maine in the 1930s and 40s. For that I’ll go to the source… the remembrances of the older townsfolk of my tiny coastal village. I’ve heard some of the stories such as the year the bays froze over; the tales of children walking five to ten miles to school in the snow; the frequent loss of fishermen in the treacherous waters off the coast or in the bay. I guess I need to get onto my online community bulletin board and troll for informants. Time’s a wastin’. This kind of research I’m looking forward to. Talking to folks, especially after I just spent more than four months as a hermit, something I seem to do every winter. Before too long I’m afraid people will be sending my son condolences on the death—or disappearance of his mother! But the news will be untimely as I’ve been sitting in my kitchen window writing since Thanksgiving. I’ve enjoyed these searches for trivia and even though it slows my writing down considerably, I think I might pen another historical soon. Perhaps one of Texas in the 1840s. The frontier has always appealed to me. In fact, my Master’s Thesis for The University of Texas at Austin was on the prehistoric and historic use of a clay dune system along the Gulf of Mexico… a mouthful but I discovered so much trivia that wasn’t appropriate for a scholarly thesis although would certainly be right at home in a novel. So, stay tuned… another historical might be in the wings. 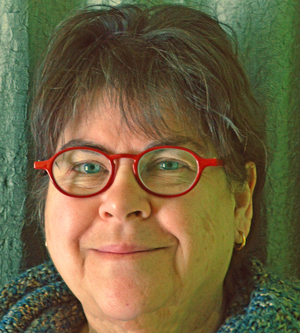 I wear many hats… author, book designer, archaeologist, and citizen of the edge of America… Lubec, Maine, the most eastern town in the U.S. I’m a life-long reader, but I don’t chain myself to only one genre. I love, almost equally, romance, suspense, thrillers, sci-fi. And if a book takes me someplace I’ve never been with a story that makes my heart beat with excitement, then I consider that an excellent book. I strive for the same excellence in my own stories. I’m sure it will help many. Good luck and God’s blessings with your writing and book design business! Wow, that book is quite an undertaking, Min! But I, too love the research that goes with writing historical fiction. Right now, I’m immersed in Regency England, but my characters will soon take me into the Victorian era! Great article, thanks Min and Alicia! I LOVE researching and find myself getting sucked into it all too often–exactly as you described. (Fascinating tidbits about the variety in gauges! Who would have thought?!) Wishing you many happy hours researching and writing. Very interesting. Details make a story more real–if the details are correct. It sounds like you do a lot of research. Best wishes for your new release.